Baseball-Reference lists 67 players who came out of American River College and went on to time in the pros. Of those players 18 made the majors. The rest never made it. Darren Hedley was one of the rest. Hedley played well enough to be drafted twice out of American River. He signed the second time. His time in the pros, though, was brief. He played just a single season. 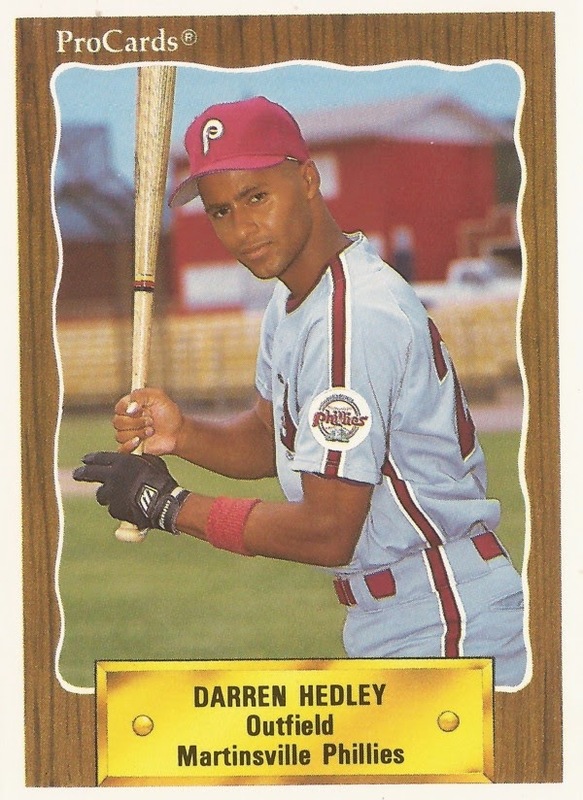 Hedley's short pro career began and ended in 1990. He was taken by the Phillies in the 18th round of the draft. A year earlier, Hedley was taken by the other Pennsylvania team, the Pirates, in the 19th round. He didn't sign. With the Phillies, Hedley was sent to rookie Martinsville. He got into 41 games there. He hit .200, knocking in eight runs. He hit seven doubles and no home runs. It was his only season as a pro.